Like to see what rifles you guys are using for hunting. 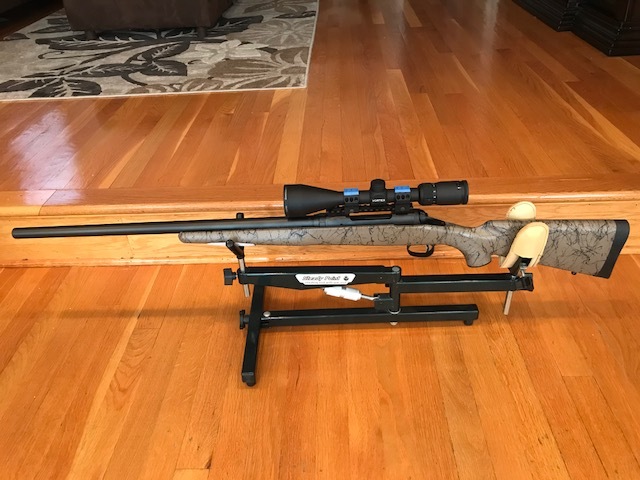 I always seem to grab my stainless steel Remington 700 ADL in 308. 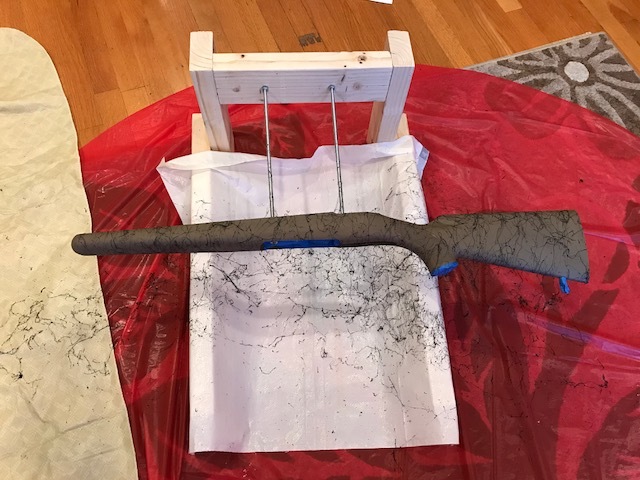 It was a blind magazine, but I made it a detachable mag. 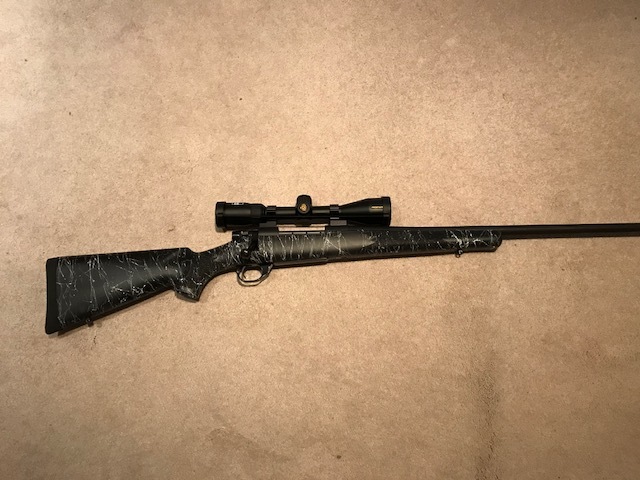 It has a trigger tech trigger, Nitrex TR2 2-10x50 scope, I turned down and threaded the bolt handle myself and made the blot knob, but I sent it out to have the bolt fluted. I guess nobody hunts with a rifle. Oh well, I'll try one more time. This is one of my coyote rifles, it's an accustock and trigger Savage in .243, heavy barrel and a Vortex scope. I painted the stock and also did the webbing. I'll join the party in a few days. I have to move all kinds of things to get to my Gun cabinet. Since I wasn't able to hunt the last two years, , my man room got used as storage. The webbing you did on that stock. Is that a rattle can paint? I remember finding that in high school, early 90's. Keep meaning to look for it, but always forget. Was thinking of using it on my buggy, as a bit of a "break up". Yes, rattle can. This is the exact one I used. Looking forward to seeing your rifles. They have it in white too. I use a Weatherby bolt action in .243 caliber. It will drive tacks. Never lost a deer or hog with it. Use Remington Core lokt 100 gr ammo. Love thou s gun. I use it dense woods or open fields. Its does it job, if I do mine. Use to have a Savage 99 in .243. Hard cartridge to find fault with. I like .30 caliber, and there are plenty of options there, but the .243, and the .270 are very versatile. Dang, this is getting me thinking too much! I like the .243 because I can shoot and never lose sight of the game through my scope. I used to use a 30.06 as nd after a shot the recoil caused gun to move and would lose vision of game. To me .243 recoil not much different than a .22. And its a deadly fir almost all N.A. game. Would not trust it hunting brown bear. Never hunted brown bears, nor been in brown-bear country, but I agree- I would want for something quite a bit heavier then. Had a Sako .340 WinMag once, that would be a little more comforting! No brown bear around here either. Thankfully. If there were, I would worry about who was the hunter, or the huntee. Marlin 1895XLR in 45-70. Quick detachable rings when it get's light out. Winchester's in 30-30 and 32 special. Winchester 30-30, 22LR, 38-55 and one 32-40. Kentucky flint pistol in .50 cal. 13" barrel. built by me.